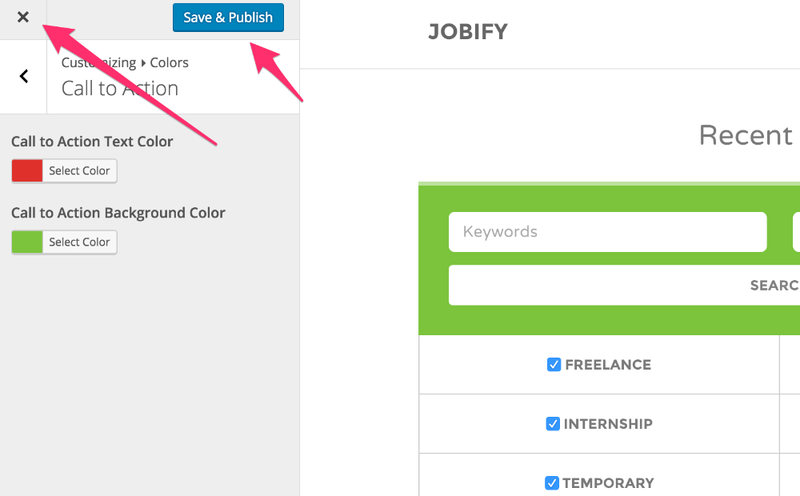 The Jobify theme comes with a comprehensive customizer that lets you customize your theme to your liking. 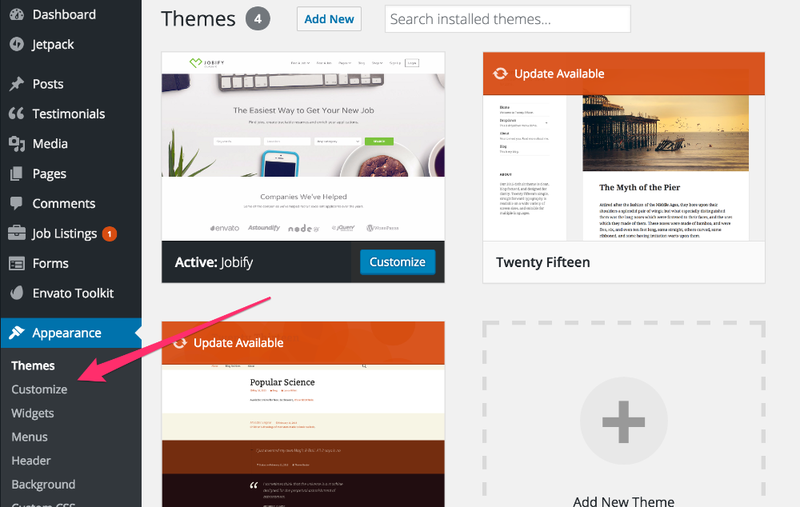 To change the look and settings of your theme using the customizer, go to Appearance ▸ Customize. The customizer allows you to change the general look of your website or individual pages. More specifically, using the customizer, you can change the general settings of your website, colors, jobs, footer, menus, and widgets. With the customizer, you will notice that you can instantly preview your changes. Once you are happy with your customizations, make sure to save them and exit the customizer. For detailed information on the many options available under the customizer, please visit our Theme Customizer section.